Remember being a kid and drinking a glass of milk with dinner or having a mini carton with your lunch at school? There's a good reason even kids today are still encouraged to drink milk - calcium. If your milk-mustache days are over, you can still get the nutritional benefits of milk without the carton with Calcium Lactate from Progressive Labs. Calcium Lactate is a natural bone health support supplement that contains 115 mg of calcium as highly absorbable calcium lactate from milk per capsule. Calcium lactate is a form of calcium that is found in milk when lactic acid reacts with calcium carbonate. This forms white crystals that are found in milk and other dairy products. While calcium exists in a variety of foods, including dark leafy vegetables, the calcium lactate found in dairy is much more absorbable. The lactate form has one of the highest levels of solubility in the body, making it easier for it to be absorbed in the intestines and delivered to the blood. 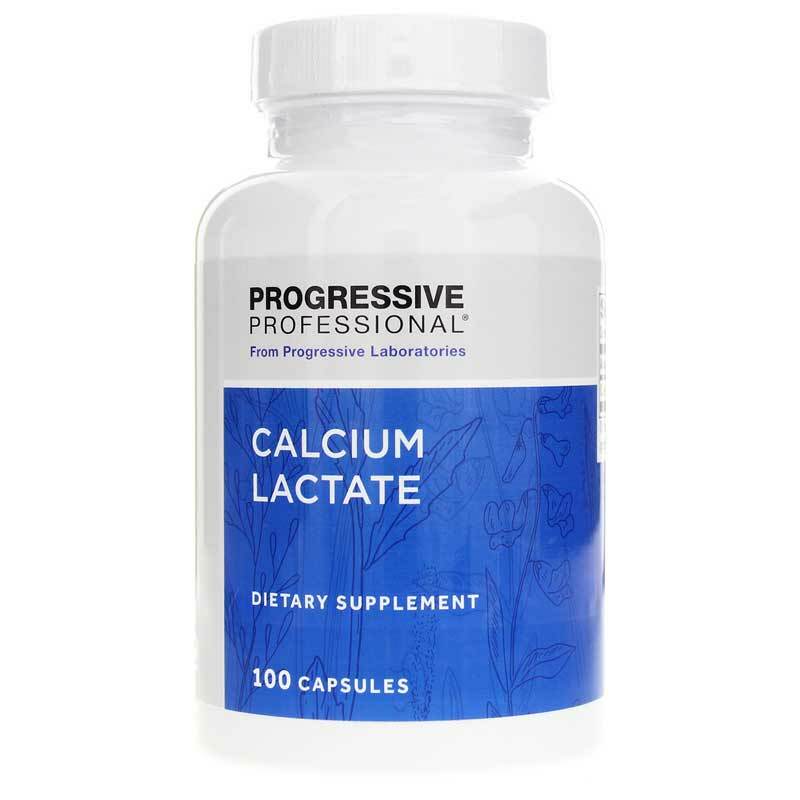 Convenient and easy to take, Progressive Labs' Calcium Lactate can be absorbed at various pH levels and does not need to be taken with food in order to be effectively absorbed. Get the most absorbable calcium without the carton. Order Calcium Lactate today. 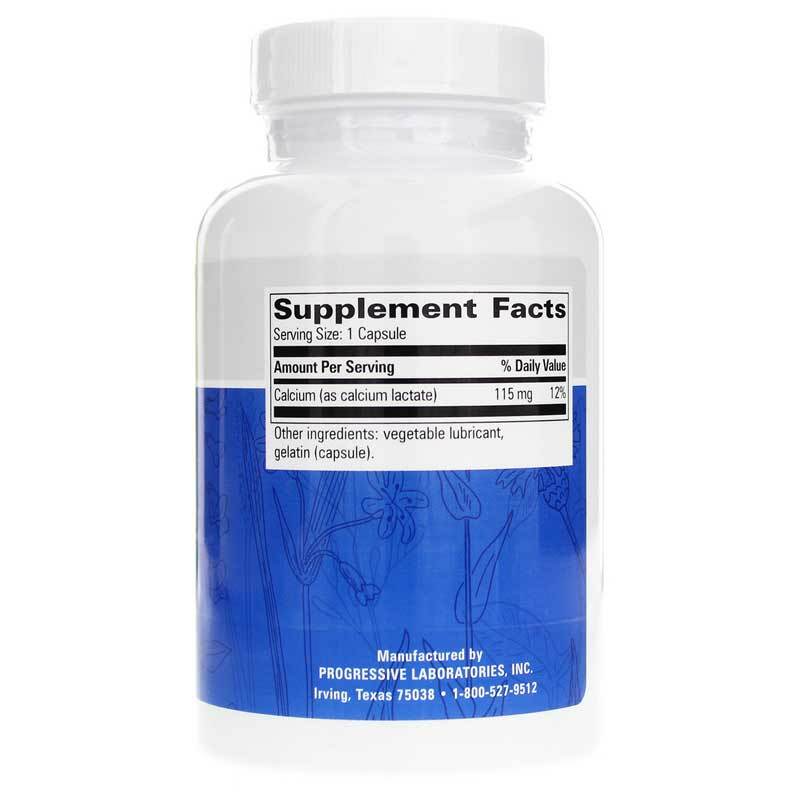 Other Ingredients: vegetable magnesium stearate, gelatin. Contains milk. Contains NO: yeast, corn, soy, wheat, sugar, starch, salt, sweeteners, waxes, colors or preservatives. 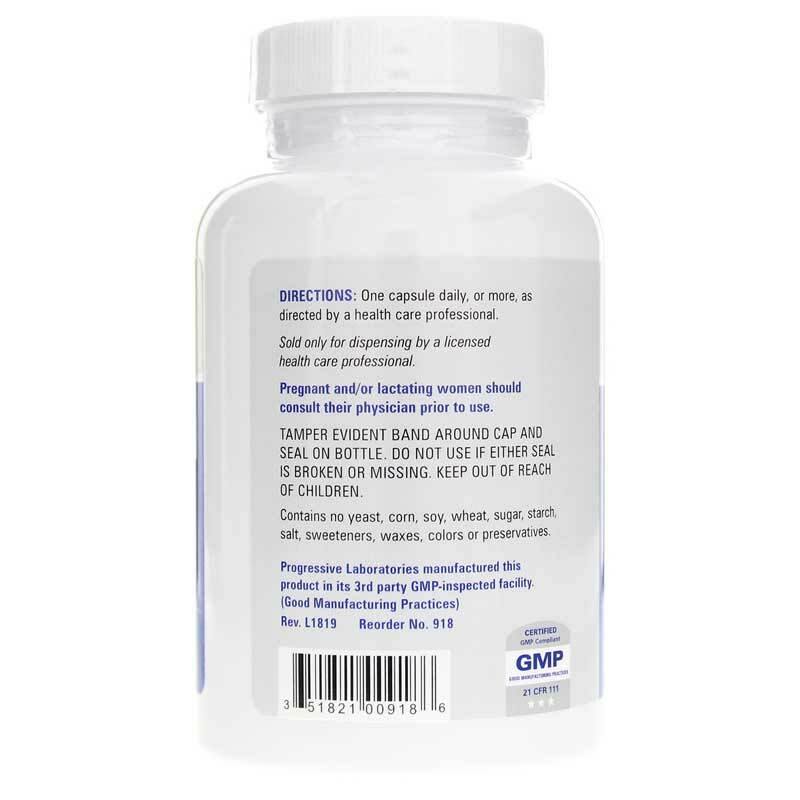 Adults: Take one capsule daily, or more, as directed by a doctor.